P.C. 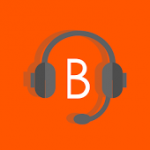 Dictation Systems: Remote Support powered by Bomgar . The appliance is local at our private location in British Columbia Canada. 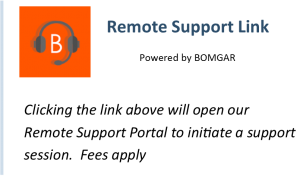 Bomgar is designed to make remote support secure. ... Bomgar works through firewall without VPN tunneling, so your perimeter security can remain intact. All session traffic is encrypted, and Bomgar logs and records each remote session for a detailed audit trail. "Remote desktop is a program or an operating system feature that allows a user to connect to a computer in another location, see that computer's desktop and interact with it as if it were local"
If you require Remote Assistance, please contact us by phone, email or simply start a session by clicking the link on the right!